My wildflower profiles have been up to now limited to herbaceous plants. I decided to make an exception after sorting through some photos for an upcoming summer survey. 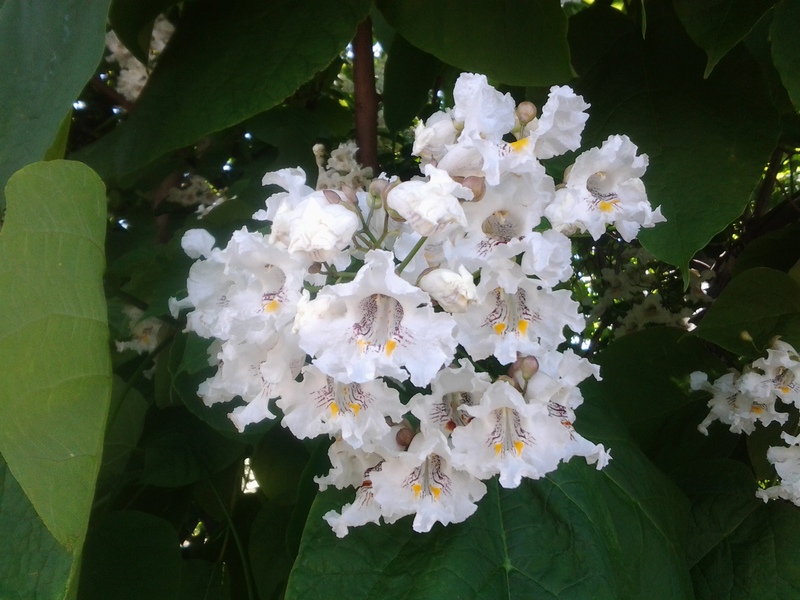 One batch of images jumped out at me – the large and decorative blooming clusters of the Northern Catalpa Tree, Catalpa speciosa. Take a moment and contemplate the depth and richness of these native flowers. The ruffled edges and rounded corollas are as pretty as any domesticated garden planting. This perennial deciduous shade tree has by now gone to seed, in pods easy to spot, as these resemble oversize green beans. Look for them hanging gracefully beside waterways and train tracks throughout the New York metro area. Looks like a lovely orchid cluster.